Beautifully efficient and self-sufficient, the Siemens iQ500 WT47W590GB Condenser Tumble Dryer takes care of your family's laundry for excellent drying results. Thanks to its A++ energy rating, the WT47W590GB effortlessly dries your clothes while staying conveniently energy efficient. 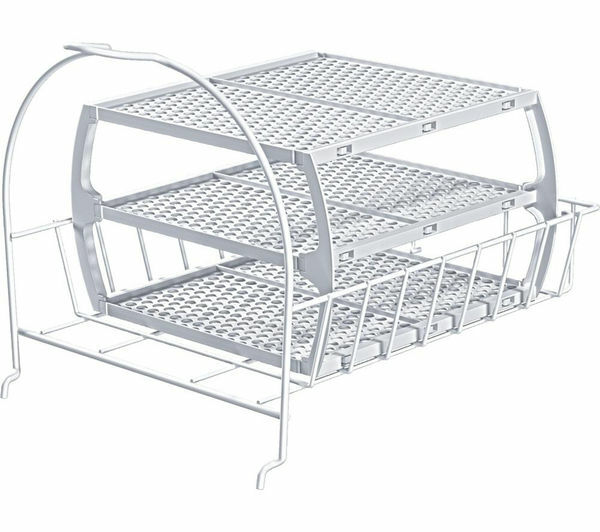 As a result, you can enjoy perfectly dry laundry without the hefty energy bill. With an intelligent self-cleaning system, the WT47W590GB also looks after itself - saving you time manually cleaning or running energy-wasting cleaning cycles. Sensor-controlled AutoDry technology offers additional protection for your clothes, by preventing laundry from shrinking while being dried. 14 programs give you versatile drying, so you can choose the right cycle to suit your fabrics. Choose between mixed fabrics, wool drying, cotton and easy-care depending on the type and size of our load. Boasting a large LED display, the WT47W590GB lets you clearly see special functions and the remaining time left on any cycle. 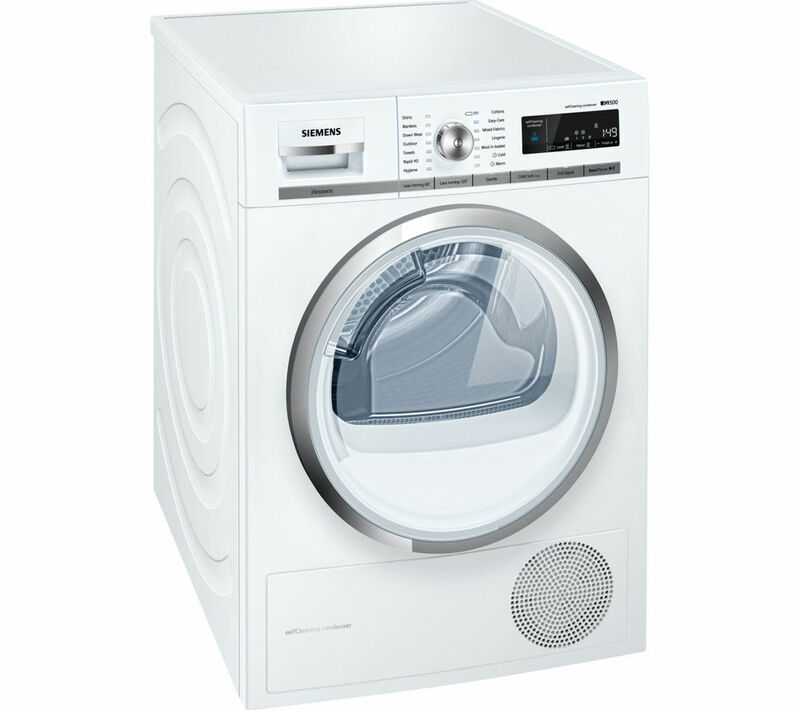 The jog dial with integrated on/off control also makes the tumble dryer clear and easy-to-use. 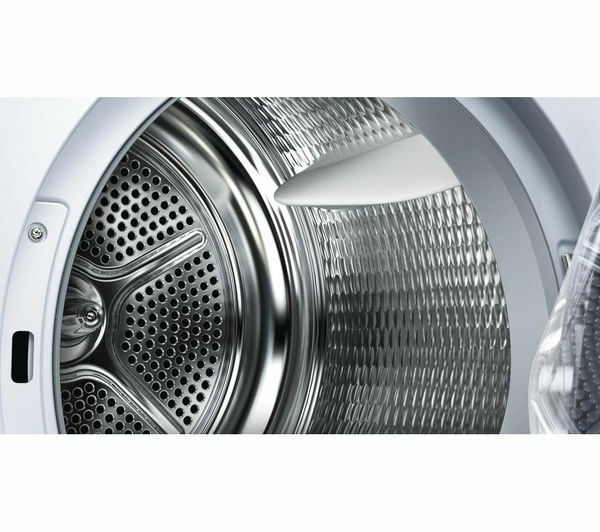 With clever features and a quiet 65 dB(A) operating noise, the Siemens iQ500 WT47W590GB Condenser Tumble Dryer takes the hassle out of big laundry days. This is our first condensing dryer and we are happier that it is much more energy efficient than our old dryer, as we are no longer pumping vast amounts of energy in steam out of our house. We expected it to be a little quieter, but it's not too bad, and it's a vast improvement on our last dryer with it's squealing and howling worn out bearings. What a relief! !